Wendy the host is very helpful. Nothing to complaint. My parents used the cottage with another couple for the weekend...I booked it for them as a Christmas present and to get them to the Irish festival. They told me it was great...clean and cosy. Everyone very happy and keen to come back next year! The location is good over looking the crater and lake. 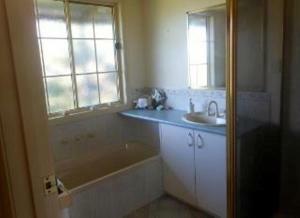 Internally much has been updated, kitchen etc. Plenty of room for adults and children. Shopping was walking distance. The house was clean when we arrrived. There were even toys for the kids to play with, two bikes for use. Location of the house absolutely perfect, right on top of the lake, nice view. Wendy was excellent to deal with. Very professional and easily accessible and answered any queries we had.The house was spotless and met all our expectations. Requested a cot which Wendy also kindly supplied. We were able to walk to the local shopping centre which had a well stocked IGA supermarket. Lock in a great price for Ripplevale Cottages – rated 9.1 by recent guests! Ripplevale Cottages This rating is a reflection of how the property compares to the industry standard when it comes to price, facilities and services available. It's based on a self-evaluation by the property. Use this rating to help choose your stay! 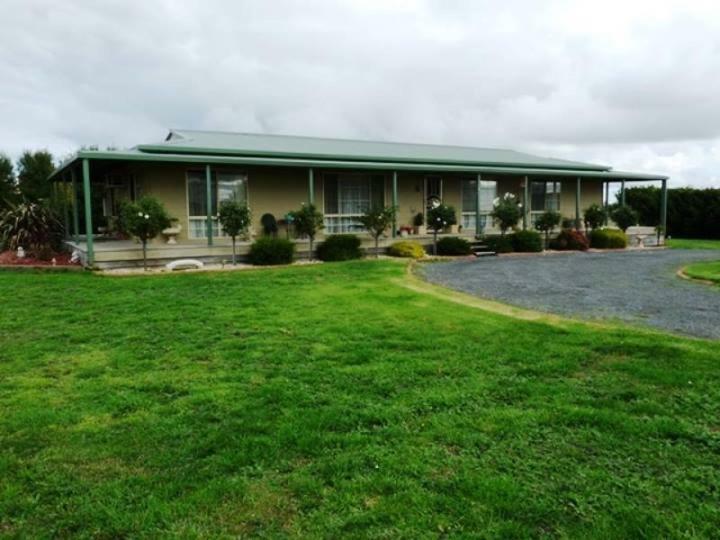 Located in various locations throughout Koroit, Ripplevale Cottages offer free on-site parking and a fully equipped kitchen. Guests can enjoy swimming and fishing at Killarney Beach, which is 5 minutes' drive from each cottage. 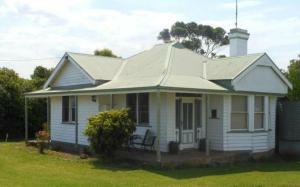 Each air-conditioned cottage offers a dining setting and a lounge area with a sofa, a TV and a DVD player. 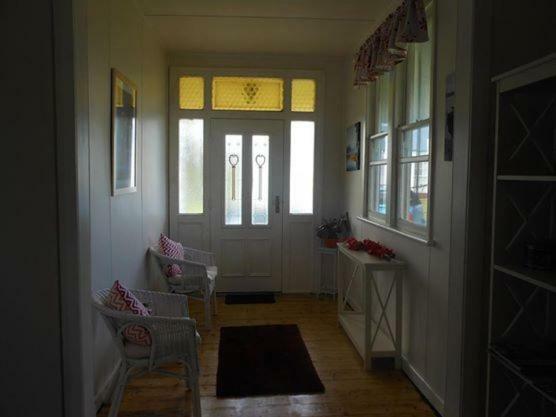 Some cottages offer sea, lake or garden views. Koroit Ripplevale Cottages are 5 minutes' drive from Tower Hill National Park and 10 minutes' drive from Warrnambool and Port Fairy. There are several restaurants and shops within 10 minutes' drive. 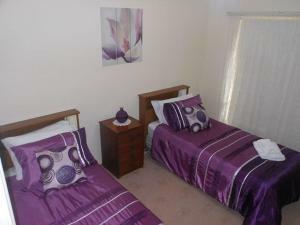 This property is also rated for the best value in Koroit! Guests are getting more for their money when compared to other properties in this city. When would you like to stay at Ripplevale Cottages? 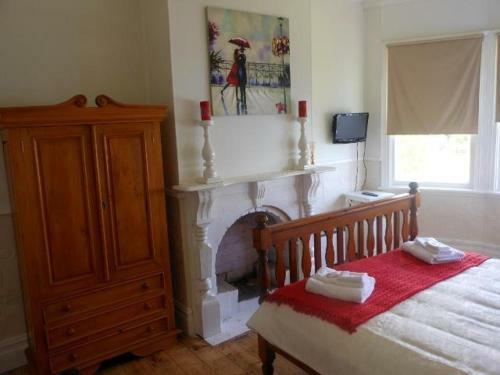 This air-conditioned cottage features a fully equipped kitchen, a dining setting and a lounge area with a sofa, TV and DVD player. 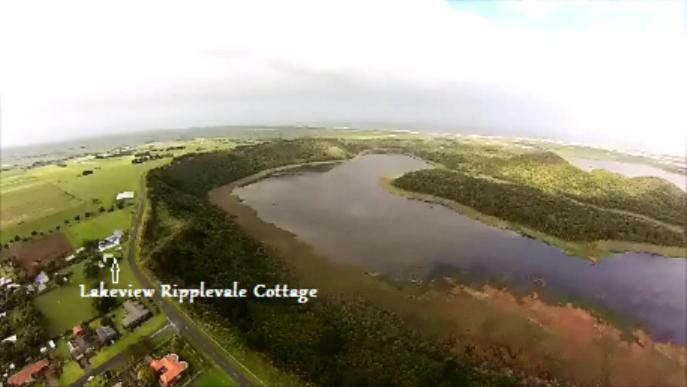 Lakeview Ripplevale Cottage is located on the rim of Tower Hill which is an extinct volcano in the Tower Hill National Park.It is close to many attractions including kangaroos, emus, koalas, possums & abundance of bird life. Close to beaches & whale watching. 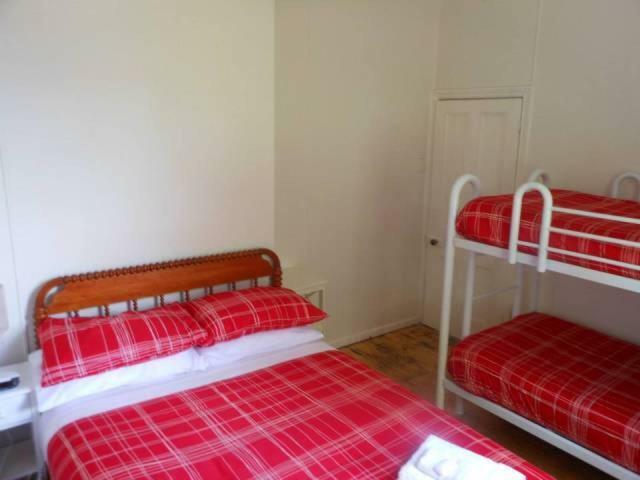 Koroit offers an IGA Supermarket, butcher, chemist, bakery, Cafes', 2 hotels, Pizza, Thai and Greek Restaurants. House Rules Ripplevale Cottages takes special requests – add in the next step! Ripplevale Cottages accepts these cards and reserves the right to temporarily hold an amount prior to arrival. Please note that Ripplevale Cottages has several locations. You can check in at the address stated in the booking confirmation. Please note that Ripplevale Cottages does not accept payments with American Express credit cards. Please note that Ripplevale Cottages has no reception. Please contact the property in advance for key collection details, using the contact details found on the booking confirmation. The power went off, had to contact owner to reset as switch board is a mix of switches and fuses. Externally the cottage is a bit dilapidated. The double bed mattresses were uncomfortable. Only one tea towel for 2.5 days. Could be cleaner, the windows were extremely filthy, full of cobwebs so I didn't even want to open them as my hands became very dirty trying to open them so gave up. The house outside and spiders everywhere. Very old house. Some windows could not be opened. Need renovating. Lot's of spiders in the house, and the floors were quite dirty. The cosy feel coupled with a great setting. Because the nights are very cold - even in summer- the heating appliances are not sufficient to warm up the kitchen in the morning. There was no toilet roll. The mattress in the back bedroom was extremely uncomfortable - very dipped in the middle. Apart from these smal things everything else was great! Lovely cottage with a beautiful view of the lake and coast. Complimentary milk, tea and coffee - a nice homely touch. Nice outside garden with outside table and chairs to enjoy the view and sunset. Comfortable lounge furniture and board games and DVD’s. Lock box for keys easy to use. We enjoyed our stay here! we were pleasantly surprised at the size of the house and how well presented it was. We had a lovely stay and would stay here again.